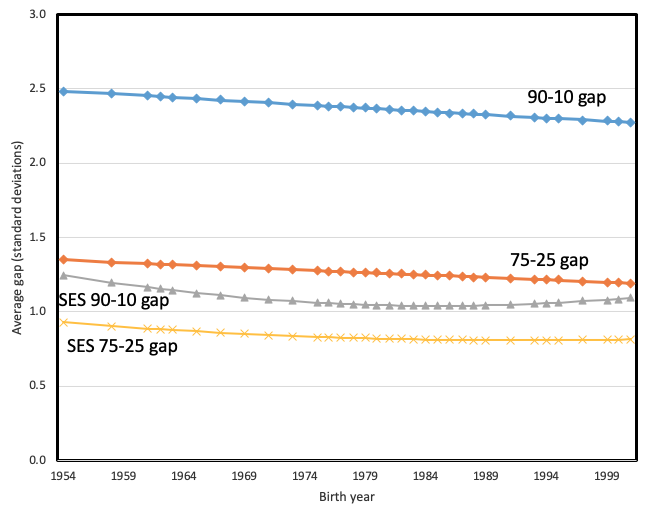 Hanushek, E A, P E Peterson, L M Talpey and L Woessmann (2019a), “The achievement gap fails to close: Half century of testing shows persistent divide between haves and have-nots," Education Next 19(3). 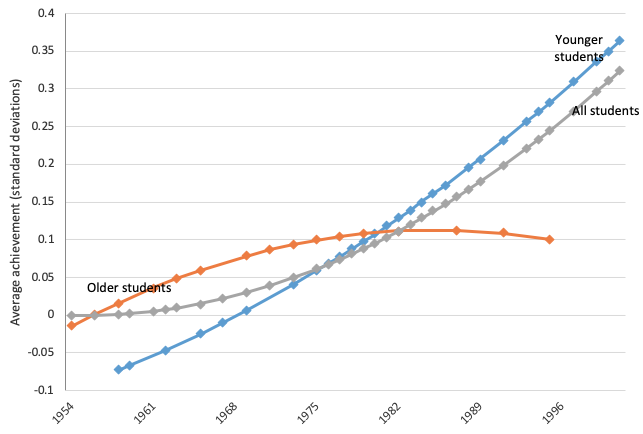 Hanushek, E A, P E Peterson, L M Talpey and L Woessmann (2019b), “The unwavering SES achievement gap: Trends in US student performance", NBER Working Paper 25648. Reardon, S F (2011), “The widening academic achievement gap between the rich and the poor: New evidence and possible explanations", in R J Murnane and G J Duncan (eds. ), Whither Opportunity? Rising Inequality and the Uncertain Life Chances of Low-Income Children, New York: Russell Sage Foundation Press: 91-116.